Christine Hill was kind enough to stop by today to share with us her top money-saving London Travel Tips. London is one of the most spectacular, and most-often-visited cities in the world. It’s also one of the most expensive, which means that if you’re a penny pincher, it might not have been on your list of places to see until recently. In the wake of Brexit, the British Pound took a major dip. Some forecasts estimate that it will continue to fall, but other early readings show that the pound should recover with time. That’s why it’s time to travel to England (and get great exchange rates from the U.S. dollar) right now! Here’s the thing about London: if you don’t keep a close watch on your pocketbook, it will sap you dry. However, it’s also one of my very favorite places that I’ve ever traveled to. 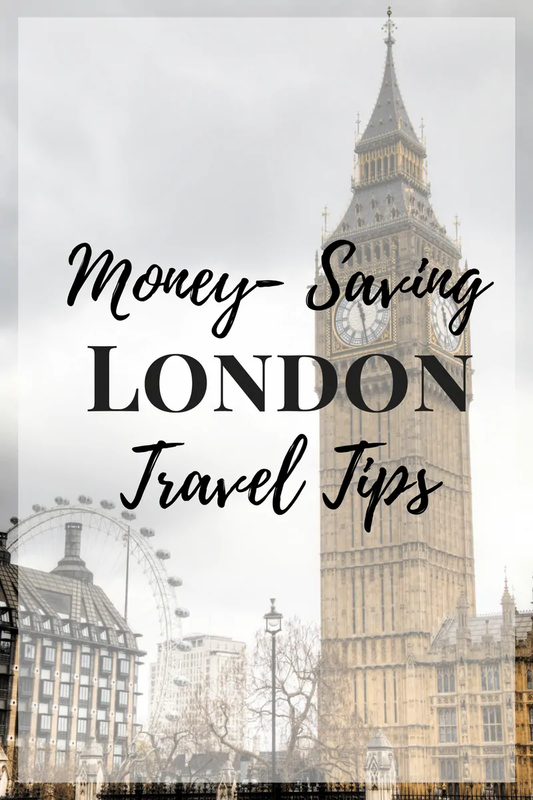 Here are some awesome, money-saving, London travel tips that I learned while I was there. You’ll need an oyster card, which is the refillable travel card used on all London transportation. Jumping around on the tube can get pricey, but it’s pretty much a necessity. However, you can cut back by taking the bus now and then. It’s about half as much as a journey on the tube, and you can take the bus as far as you want (even outside of Zone 1 and 2) without the price going up. It’s much slower than the tube, especially if you get caught in traffic, but I think it’s more fun. Claim the front seat upstairs and you’ll get a great view of the city as you travel. If your data is pricey or doesn’t work abroad, you can pop into any McDonald’s or Starbucks for free Wifi, so you can check your messages, look up travel information, or just figure out where the heck you are. The Citymapper app is a lifesaver. It will map out your route to anywhere you want to go, tell you expected travel time and cost, and give you different routes to choose from. I love Citymapper because it guides you so well on the bus that you can’t miss your stop. Eating in London can get expensive, but stop in at kebab stands dotting the city, or fish and chips shops for meals under 5 pounds. You can also pick up the meal deal at any Boots store and get yourself a sandwich, a drink, and a side for under 5 pounds. Look out during the lunch hour in corporate areas, though. It can turn into a madhouse. Pick up the newspapers that they hand out outside of the tube stations. They’re free and they usually have handy coupons. They also shield you from uncomfortable eye contact on the tube which is a DISASTER for any self-respecting Londoner… apparently. Museums in England are free and they’re a great place to hide out when the inevitable London rain creeps in. Check out the British Museum, which is my favorite. There’s also the National Gallery, the Tate, and the Science Museum and Natural History Museum. London theater is spectacular, and you can do it for relatively cheap. My favorite resource is lastminute.com, which has ticket prices far below what you’ll get at the half-price booths at Leicester Square. Even if the ticket you want isn’t available on that website, you can get Broadway-caliber shows at far under Broadway prices, so make the most of it while you’re in London. The Curious Incident of the Dog in the Nighttime seriously blew my mind. Speaking of theater, take in a tribute to England’s national treasure, Mr. Billy Shakespeare. You can get pit tickets at the Globe Theater (which means standing room only, but it’s worth it, AND it’s more authentic) for only 5 pounds. The Borough market is one of my favorite spots in London, but most tourists miss it. Stroll through for some free samples of fancy cheese and meat, check out the wide array of spices, and then get yourself a truly gourmet lunch for under ten pounds. Take a few historic walks. The London Walks podcast by The Guardian will tour you through historic districts while whispering background information in your ear. My favorite walk is a bit cliche, but worth it every time. Start at the Westminster tube stop. You’ll emerge from the underground with the Parliament Building (and Big Ben’s clock tower) bigger than life right above you. Crossing over the bridge to Southbank, you’ll get tons of great views of both Big Ben and the London Eye. From there, walk down to the Millennium bridge. As you cross the Thames again, you’ll get a beautiful lead-up to St. Paul’s, one of the most beautiful buildings I’ve ever seen. St. Paul’s is spectacular, and definitely worth a visit. However, it costs about 20 pounds just to go inside… unless you go for a service. That’s right, mass is free, of course. Check out Evensong, which starts each night at 5:00. Santander cycles are self-hire bicycles that you can check out for as low as 2 pounds. You’ll see them standing at attention all around the parks. You don’t even have to return them where you found them, just dock them at any Santander stand that you find. Biking through the city streets is a little too scary for me, but London is full of huge parks like Hyde park or Kensington Gardens, which feature beautiful wide pathways for bikers. Great panorama views of the city skyline are available from the London Eye, or from the Shard, which is the tallest building in London. However, you can avoid the prices by opting for the Sky Garden instead. It’s free, but you do have to reserve your spot ahead of time on their website, and go through a security check before you go to the top of the building. London is a truly spectacular city, but you’d be doing yourself an injustice if you went clear to England and never got out of the city limits. 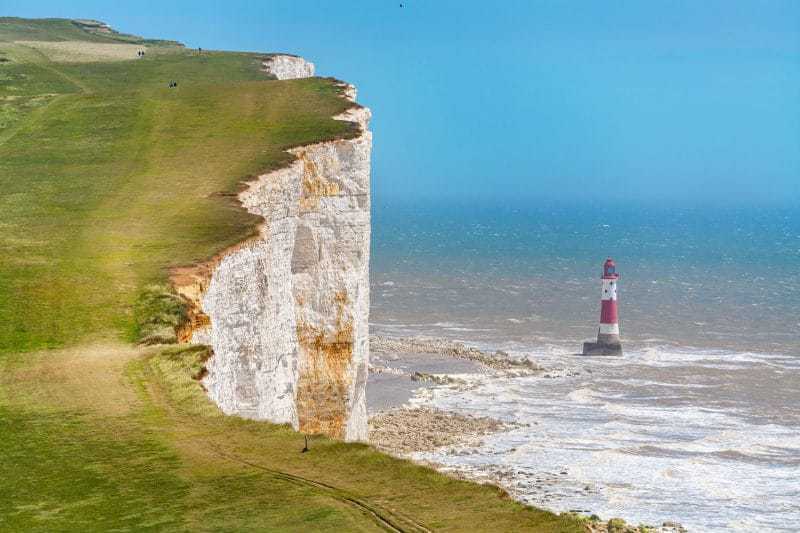 Pop up to the Lake District or the beautiful Beachy Head coastline for beautiful landscapes. Visit the Cotswolds for charming villages that make up the heart of England. Or, visit breathtaking Stonehenge for awesome stone-age mysteries. One of my favorite stops in England is Avebury, a lesser-known stone circle so large that there’s a little town in the middle of it. Nearby, you can see the chalk figure of a giant horse drawn into the hills, which has been there for thousands of years. Wow! I’ve always wanted to go to London – this is excellent info – I’d be falling into every money pit there is and could use the help. The time to visit is now!! 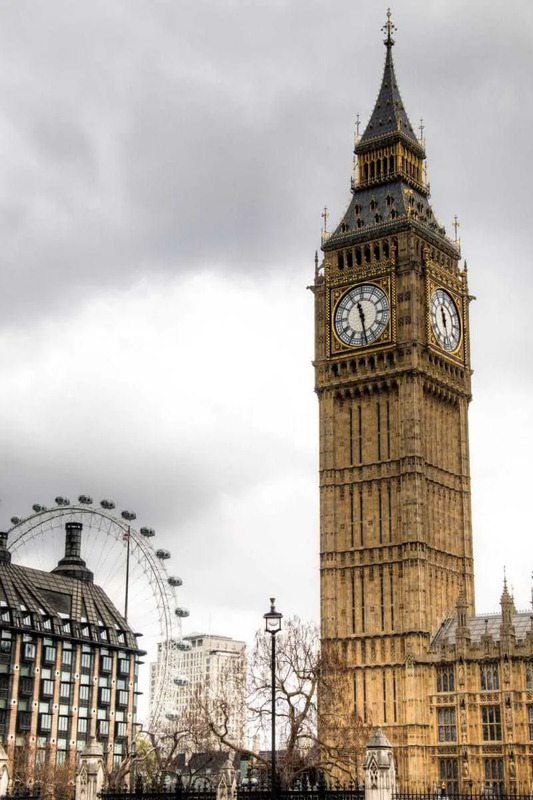 That big ben is amazing, It is just another place I have always wanted to visit and what is that ride I see in the picture , that looks like fun! We’ve never been, but I would LOVE to go someday. What an amazing experience! Going to London has always been a dream of mine! It would be amazing! Thanks for aall these great tips. I have always wanted to go to London. It’s been 35 years since I was in London. I got to see some great theater shows. Good tips if I ever get back there. I will have to recommend this column to my sister. She is a total Anglophile. I remember first being intrigued by England from having watched the movie ‘The Great Muppet Caper’ growing up. I was so upset, because I missed my opportunity to go to England when my daughter and her family moved there for her husband’s job. His contract stated that he work over there for two years. Well I was just planning my trip when his contract was cut short! Talk about disappointed!!! She did say it was gloomy & rained a lot. Thanks for the tips! I would love to see the parks, gardens, Big Ben, etc. I have never been to London; however, it is on my bucket list. Thank you for sharing your tips! I have to say I have never been… but would love to! The pics above are so beautiful and I love all of the great places to visit and the amazing history. Thanks for sharing! I’ve never been out of the country before but London is definitely on my list of places I want to see abroad! Thank you for information. I’m from india and planning a solo trip in September. Any tips for me ?